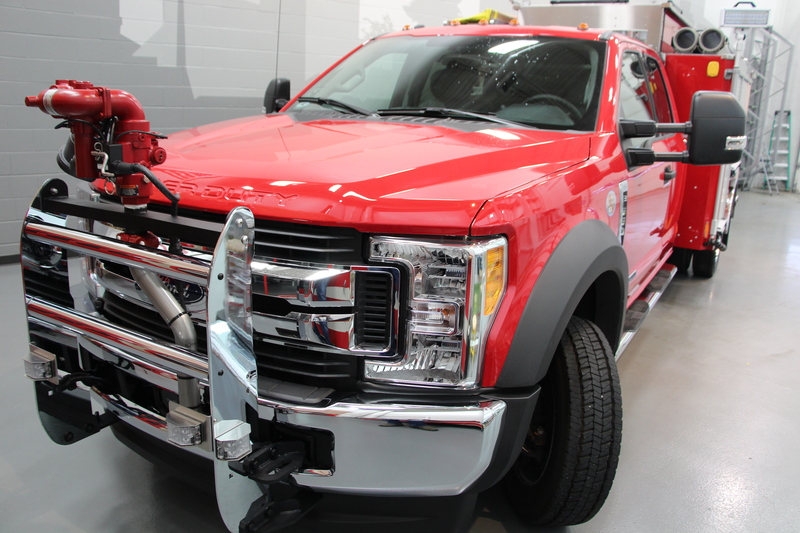 The MiniEvo™ (Ford F-550) features a 4x4 chassis with a GVWR of 19,500 lbs and a 330-HP engine producing 660 lbs ft-lbs of torque. 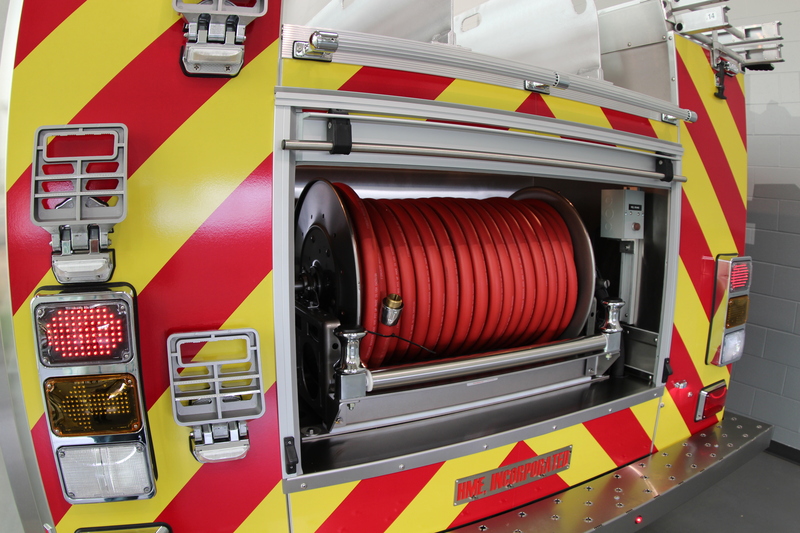 The pump delivers certified 1500-GPM performance. 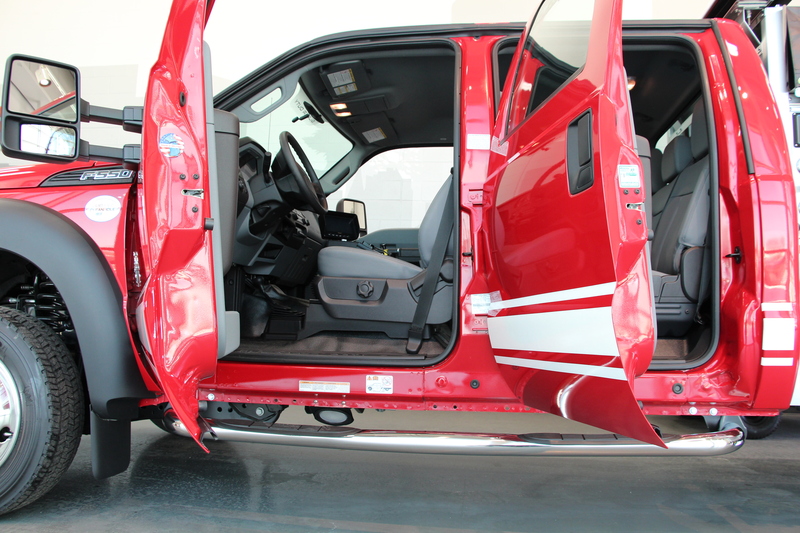 The MiniEvo™ (Ford F-550) also incorporates an expanded MiniEvo™ stainless steel body with 139-cubic feet of compartment space for rescue equipment and gear, along with 40-cubic feet of hosebed storage to maximize truck capability and capacity. 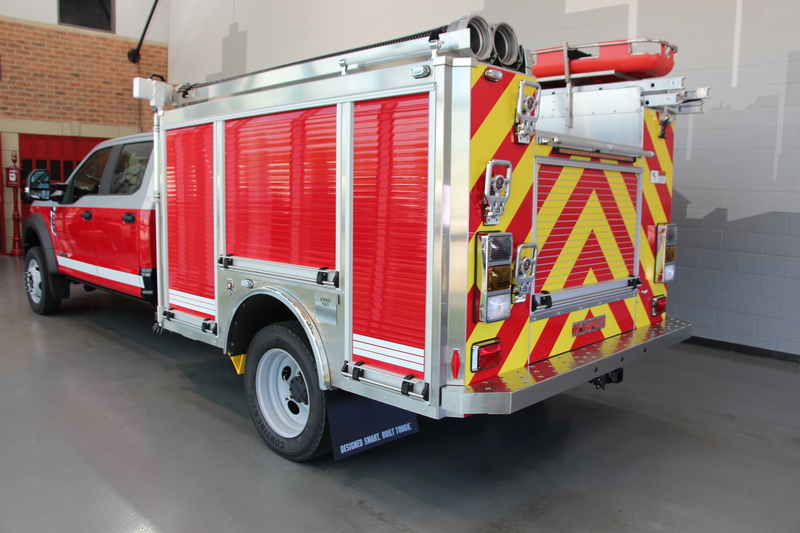 HME Ahrens-Fox set the standard for mini-pumper performance with the development of the HME Mini-Evo™ offering proven pump performance, expanded storage capacity, along with optional MadDogxl Compressed Air Foam Systems. 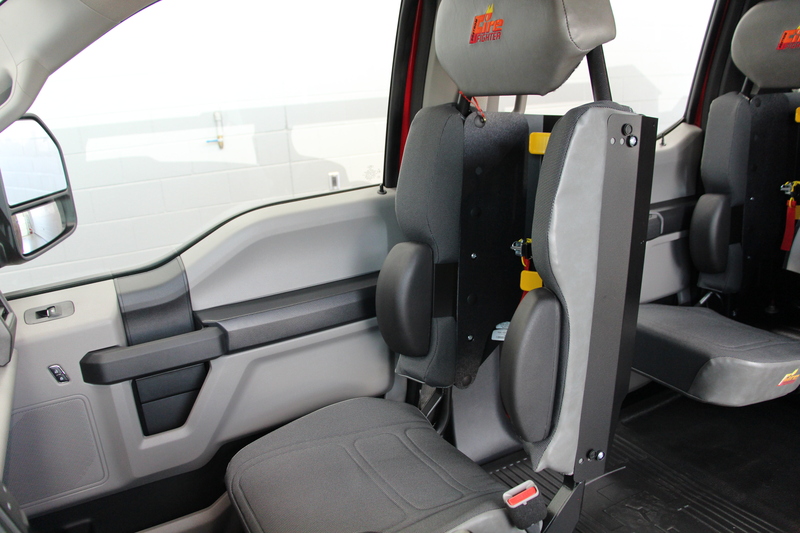 The MiniEvo™ (Ford F-550) is available with SCBA seating to enhance its operational effectiveness. 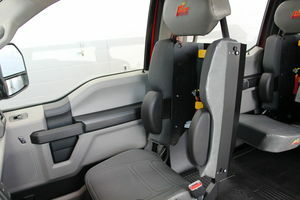 Extended cab and four-door crew cab configurations available. 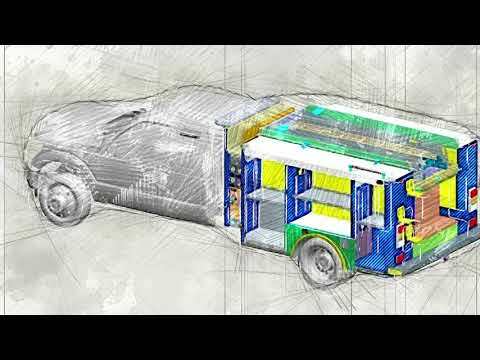 Automatic step rails, custom consoles and more. 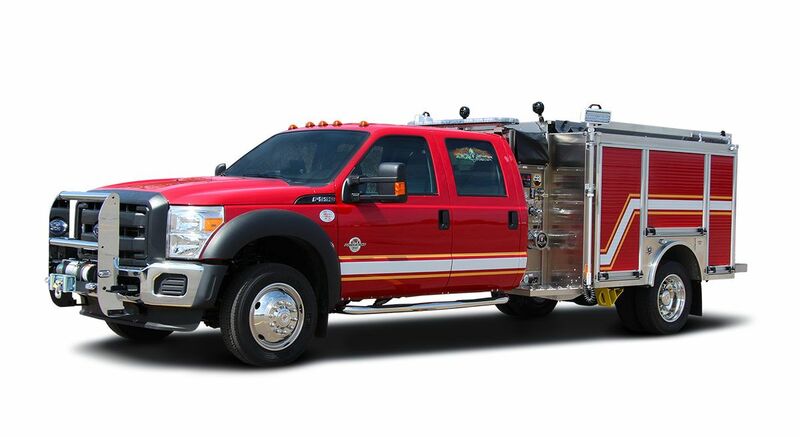 The MiniEvo™ (Ford F-550) pump is certified at 1500-GPM with sufficient reserve power for extended relay operations. 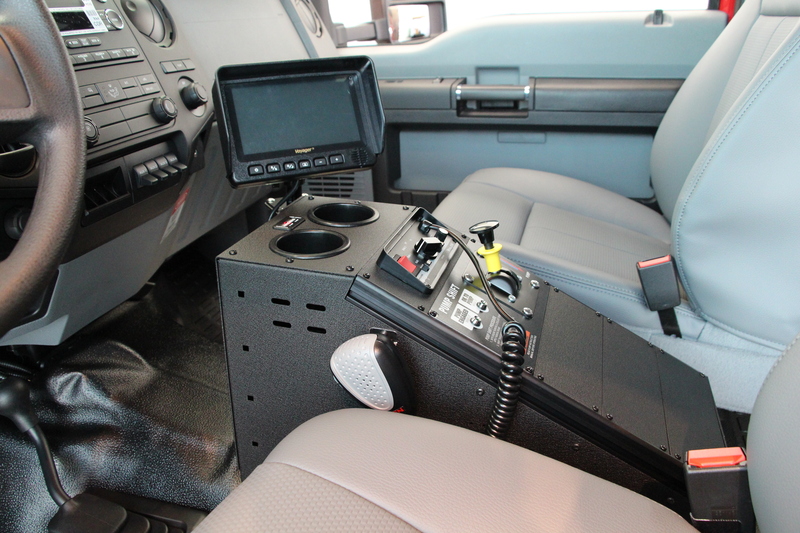 Advanced MadDogxl CAF systems for wildland, structure and vehicle fires.